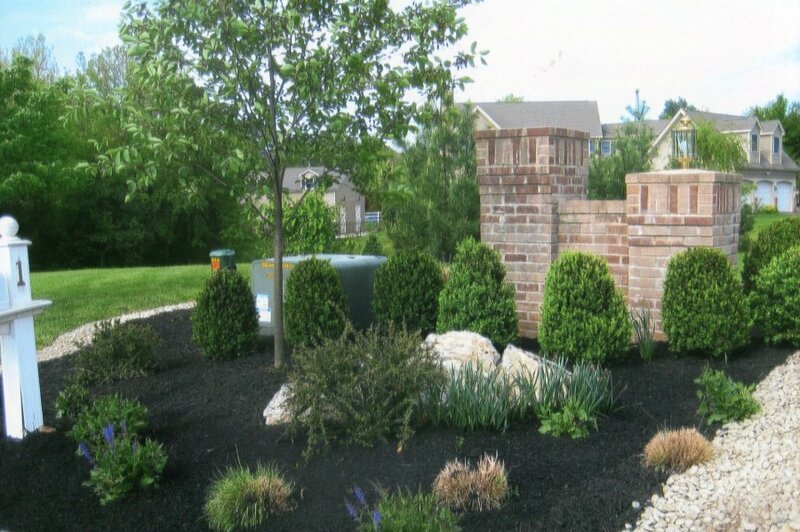 Final Touch Plantscaping, LLC is a new local talent, fully insured specializing in horticultural sound practices for the Commercial Industry. Final Touch Plantscaping, LLC is certified under the Small Business Set-Aside Act and Minority and Women Certification Program. 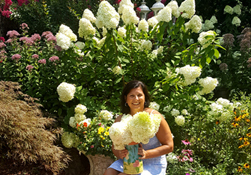 Final Touch Plantscaping, LLC is a Women Business Enterprise (WBE) owned and controlled company which has met the criteria established by the N.J.A.C 17:46. Are you unsatisfied with your outdoor space? Do you feel like something is missing? We specialize in adding that “final touch” to an outdoor space to make it uniquely your own. We have mastered the art of blending colors, textures, heights, shapes and fragrances to create visual appeal that lasts throughout all four seasons. 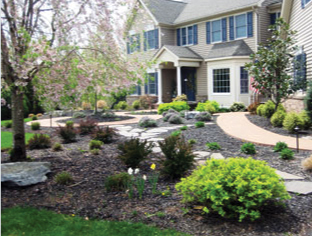 After a thorough analysis of your landscape, we can recommend the right trees, plants, and flowers to embellish your property and maximize its beauty. Wouldn’t you like your property to be in bloom for 5 1/2 months instead of only a few weeks? We can make that happen! Will the property be appealing year-round? How will the sun, wind and rain patterns affect the plants and trees? Will rainwater spillage from the roof flood plants near the base of the home? How will road and driveway salt affect the landscape during the winter? Does the client need deer-resistant plants? How can we best highlight the architecture of the house? 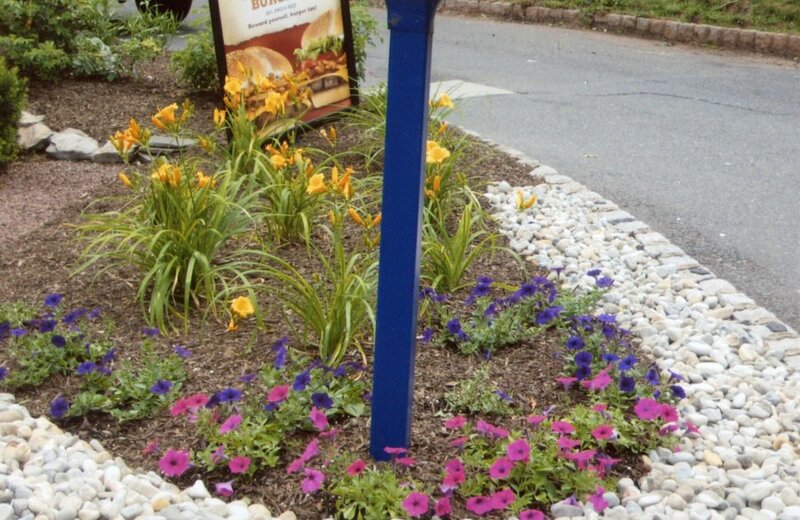 To further enhance your space, we also offer hardscaping and landscape lighting services. We work with the homeowner to purchase and install self-sustaining exterior light kits. This provides maximum nighttime beauty at an affordable cost. 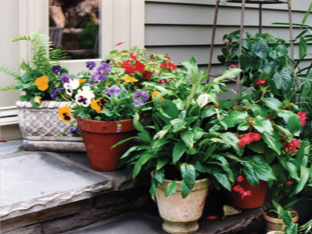 Container gardens are an inexpensive way to add visual appeal to your indoor or outdoor space. 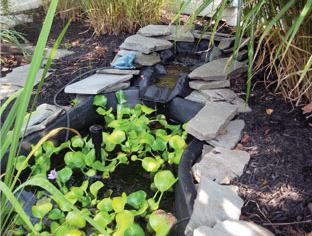 We creatively combine different colors, textures and styles of plants to create a one-of-a-kind garden just for you. Add curb appeal to your entranceway, spice up your front porch or highlight areas of your landscape with artfully staged container gardens. Did you know that many butterflies are disappearing due to a loss of their natural habitat? You can enhance your property and help protect the species with a carefully designed butterfly garden. We select a variety of nectar plants and host plants that bloom in the late summer and early fall when butterflies are the most populous. 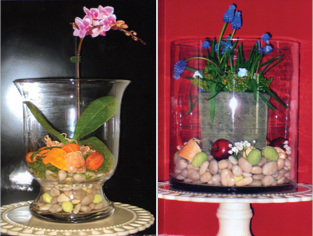 Miniature gardens in glass containers are a beautiful way to keep your garden alive through the harsh winter months. Final Touch Plantscaping can design beautiful accent terrariums to compliment the interior of your home.